Byron Shire Council and the state government reject claims they’ve ignored residents concerns over the planned Butler Street bypass and additional bus interchange. The state government says it provided residents opportunities to comment on the proposed interchange, with feedback currently being assessed. While council recognises there are some objections but says the benefits outweigh them. 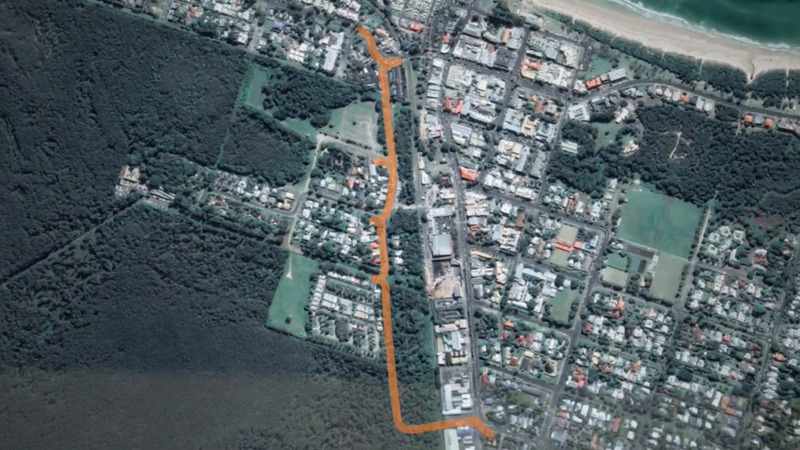 In 2014, after much consideration, Council announced the route for the Byron Bay town centre bypass would be along Butler Street. Tenders for the contract to build the bypass close on 27 March 2019. Council acknowledges there are a number of people who have and will continue to object to the route of the Byron Bypass along Butler Street but this road will take traffic out of the town centre and benefit locals, visitors and people working in and around Byron Bay. Director, Infrastructure Services, Phil Holloway, said Council will be closing the Butler Street Reserve for six months from this July to start work on the bypass and the monthly community market and weekly farmers market will be relocated while the bypass is being built. Council is very supportive of both markets which are loved by the community and tourist attractions in their own right. A key priority will be to finish the work and get the markets back to the Butler Street Reserve as soon as possible. Transport for NSW and Sydney Trains have been working closely with the Byron Shire Council and the local community for the past three years to provide a suitable location for the proposed interchange. The local community recently had an opportunity to provide feedback on the heritage impacts of the Butler St site. Feedback for the overall proposal was also included. This is currently being reviewed with feedback to be provided back to the community. Previous proposed locations such as the Cavanbah Centre was found unsuitable as it was around 4km from the town centre – or approximately 50 minutes’ walk. This was a significant obstacle to many of our customers – particularly those who are elderly or less mobile. The current Butler St location is aligned to Council’s Byron Bay Master Plan for an integrated transport interchange to transform the town centre.